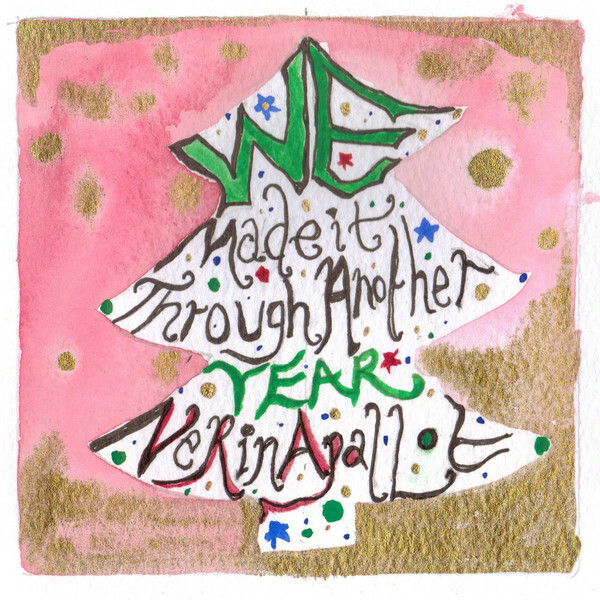 The extraordinary and amazing Nerina Pallot is release a Christmas themed EP on 16th December titled ‘We Made It Through Another Year’. The five tracks that make up ‘We Made It Through Another Year’ are original compositions that Nerina describes as focusing upon “office love affairs, crap presents, lost loved ones and being dumped over Christmas. It’s well cheery in the only way I know how”. The EP also features a newly recorded, rejigged version of ‘Blue Christmas‘, which Nerina previously offered as a free download, many moons ago now. ‘We Made It Through Another Year’ is available digitally here or physically through Nerina’s webstore here. As an additional incentive to buy a physical copy, a golden ticket has been placed inside one of the CDs which will entitle the recipient to the glorious original Nerina painting used for the artwork, both signed and framed!! !